Forest Lane Pediatrics of Dallas and Plano offers in-office allergy skin testing and treatment for children 4 years and older as well as for parents who meet certain screening criteria. This allows us to effectively treat one of our patient’s largest complaint, north Dallas allergy season. Over-the-counter (OTC) and prescription allergy medications are very effective at treating allergy symptoms, however, these medications are merely treating symptoms and are in no way a cure. The only way to eliminate the need for life-long allergy medications is to eliminate the allergies using immunotherapy. Forest Lane Pediatrics of Dallas and Plano offers precision allergy testing through United Allergy Services and customized immunotherapy that could help you put an end to your allergies forever. Allergic diseases (allergic rhinitis [hay fever], asthma, and atopic dermatitis (eczema) often warrant identification of specific allergic triggers for treatment. We’ll test you for the primary geographically specific mold and airborne allergens in our area, as well as common perennial allergens like those from dogs, cats, and dust mites. We do not test for food allergies as this type of testing can only be done in an allergist office, but we will be happy to refer you to a specialist if needed. Skin testing is the oldest and most reliable form of allergy testing. The testing process is not painful and involves scratch testing both arms to 50 different allergens. The results are read 15 minutes after the test is applied. A positive test will appear as a raised, red itchy bump on the skin that looks very much like a mosquito bite. This will tell us exactly what you are and are not allergic to enabling customized treatment. In order to achieve the most accurate test results, you should discontinue any antihistamines, over-the-counter or prescription, for at least 1 week prior to allergy testing. Forest Lane Pediatrics offers a home-based allergen immunotherapy program, which we hope will lead to a very significant abatement or resolution of symptoms and decreased need for medicine. Relief from allergies varies by individual, but the vast majority of patients see results as soon as 6 months after therapy begins. Our allergy technician initially gives the injections. Our technician will then teach the parent or patient how to administer the injections. Eventually, they are administered at home with occasional visits to the allergy clinic for monitoring. This allows the patient to not have to come to the clinic nearly as often as they would if all injections were administered in the office. The program has been very well studied and found to be safe with no serious adverse events. Most insurance plans cover allergy testing and immunotherapy. We will verify insurance benefits prior to testing. Take your first step towards allergy relief by calling us today. We are happy to answer any questions you may have. Contact us about precision allergy testing and the customized medications that could help you say goodbye to your allergies forever. Our Allergy Library contains a comprehensive list of PDF download handouts for parents. 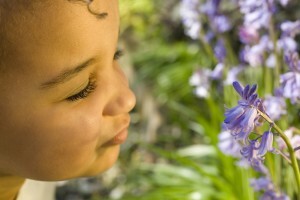 Allergen Immunotherapy for Children: Immunotherapy has been studied and proven to be effective in children. Allergic Rhinitis: Also known as hay fever, allergic rhinitis is an allergic inflammation of the nasal passages. Allergy Testing Types: For allergy testing, there are four primary tests that can be done to determine if a patient is sensitive to a certain allergen or no; Skin (Prick) Test, Intradermal Skin Test, Specific IgE and Nasal Provocation. 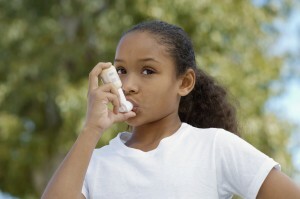 Asthma: Asthma has often been shown to be preventable with allergen immunotherapy (IT), and the symptoms of allergic asthma may be improved with allergen IT. SneezyDays: Learn about what makes us sneeze. Skin Prick Testing: Skin testing is the oldest and most reliable form of allergy testing. It is the quick and virtually painless skin prick test. Cold and Flu vs Allergy: Comparison between the symptoms of allergy, flu, and colds. Molds: The typical symptoms of a mold allergy such as wheezing, cough, stuffy or a runny nose, itchy, watery eyes, rash or hives are also common with many other allergy symptoms. Why the wait: Why are patients required to wait in the office after immunotherapy injections? Like all medications, allergen immunotherapy can induce an adverse reaction. Ambrosia sp: Ragweed belongs to the Asteraceae family, Ambrosia genera and is considered one of the most allergenic offenders. Animal Extracts: Have you ever wondered where the extracts that we test and treat for come from? The Amaranthaceae: Learn about the Amaranthaceae (Am-a:-ranth-ā-cee) family of weeds. Systemic Reactions: A systemic reaction is defined as any reaction that affects an area of the body not directly related with the injection. Food Allergy: It is well known that patients can be allergic to both foods and/or pollen, but did you know that some patients can react to foods that they never reacted to before? Local Reactions: A localized adverse reaction is defined as any reaction that is limited to between adjacent joints, i.e. the shoulder and elbow, and does not show signs of spreading to other bodily systems. The Economics of Immunotherapy: A review of 19 different economic studies found that patients can reduce health care costs by up to 80% after completing a 3-year course of IT. Compliance with Immunotherapy: Quitting IT before this change has occurred can lead to increased severity or amount of symptoms. Thommen’s Postulates: For a pollen to be considered allergenic, it has to follow the following set of requirements originally described by August Thommen of the NYU Allergy Clinic in 1931.